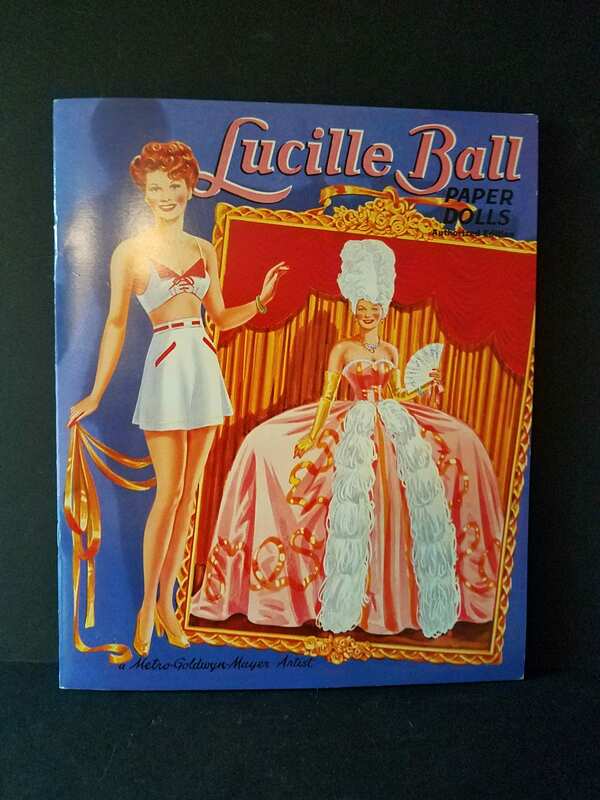 This is an authorized Lucille Ball Paper Doll book, a first edition. These were $12.00 when first put out, up to 34.95 now. 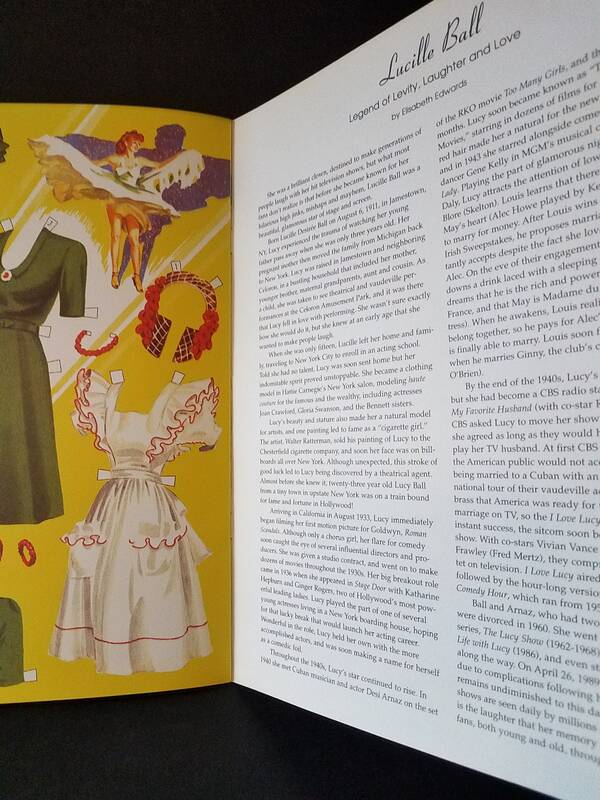 It has 8 pages of outfits including street clothes, costumes and hats. 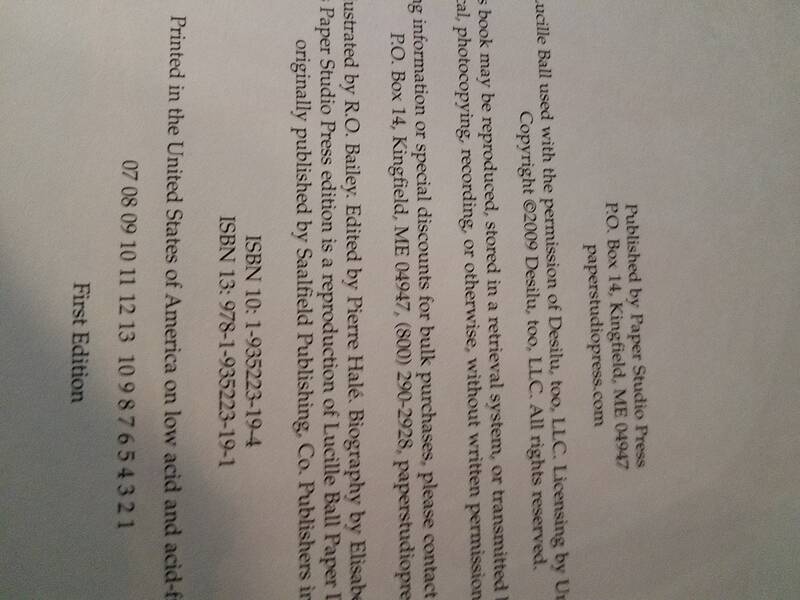 The back cover is a full page biography. 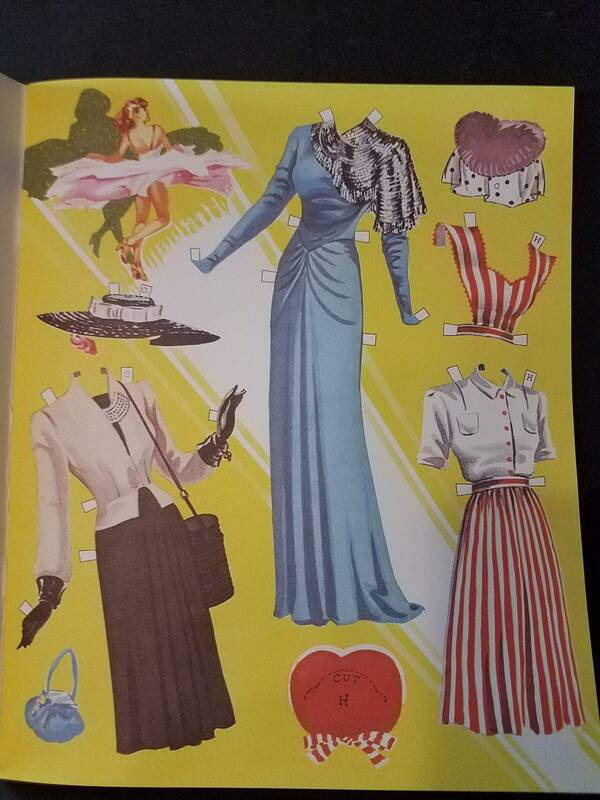 It is 11.5 x 9.5" in perfect condition. Payment must be recieved prior to shipping. I fulfill your order within 24 hours after receiving your order M-F. If for some reason, I am unable to ship with in 2 business days, I will let you know so you can decide if it can wait, however, I strive never to do that. I do not usually work the weekend so if you order something Friday nite, it will most likely not ship until Monday. I use standard shipping costs for different size items. In reality it may be more to ship or may be a little less. What you see is what you get & I believe my prices reflect that and are worth it. Whatever shipping cost is on the item is what you pay. With the cost of different boxes etc. it just makes sense to use a flat fee for certain items. I don't add the cost of mailing products to the item, I depend on my shipping costs to include that. I have had instances when my international shipping has been way off, and if that is the case, I do refund that part of the shipping cost. I insure EVERYTHING. I am a fair and reasonable person. If something is damaged, I will refund your money or allow you to exchange. I will send you a prepaid return for the damaged item if this is the case. If you don't like the item or it's not what you thought, you can send it back for refund or exchange but you will need to pay the shipping cost back to me. Send me a convo if interested in a custom mermaid, or anything else! I would be happy to make a one that will resemble a person. I look forward to hearing from anyone who is interested in my work! I also really appreciate good feedback.